In 1973, a group of Australian musicians got together and cut a single. They called themselves Wild Honey, and they could play. The arrangements are complex: shifts in tempo, complex harmonies. For 1973, this is high level production. Who were they? That is a mystery. There have been lots of bands called Wild Honey, but this does not turn up in an ay of the usual source. The label, Cohns or maybe “Call for Cohns” is otherwise unknown. The catalogue number suggests vanishing smallness: “CAWH”. Almost certainly this stands for “Cohns, Armstrong (the studio where it was recorded), Wild Honey”. They don’t even bother with a “001”, as most tiny labels do, with the proud / defiant hint that is more is to come. One clue. Both tracks were produced by one Bruce Rowland, who also has a composing credit for the A side. It is not impossible that this is Bruce Rowland, the Australian musician who is best known as a successful composer of film scores. But that is just a guess. Another credit is Steve Groves: a guitarist of that name later played with the Australian folk-rock band The Bushwackers. Could be him. If anyone out there knows more, please get in touch. Meantime, I am posting both sides of the single, because they are so rare, and because I like them both. The record is pretty battered, but the music comes through. Side A is “Groovin’ Around”, slightly spacy-folk-rock with a hint of Crosby Still and Nash about it. Over reaches just a tad, but a fine effort. Side B is less ambitious but more successful, a humorous rock song about an International Man of Mystery. In fact, Austin Powers would have loved this record. This was one of the very first records I sold online. The purchaser lives in Queensland, Link is his name, and he is a fan of eighties pop. He bought a few discs, and we exchanged some emails. I asked why he was into the eighties stuff: was he, like me, there at the time? Now, I am a slightly square guy in middle age, who has no tattoos and no desire for one. I remember Huey Lewis and Back to the Future from the first time around, and they have a certain nostalgia value but they are not my passion. But they are for Link, who is also clearly not a man to stop the body art at just one flux capacitator. 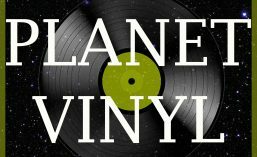 And that is the beauty of Planet Vinyl: everyone is welcome, and everyone is respected. And nothing makes me happier than when someone who really does appreciate a record finds it online. So, Link, this one is for you!